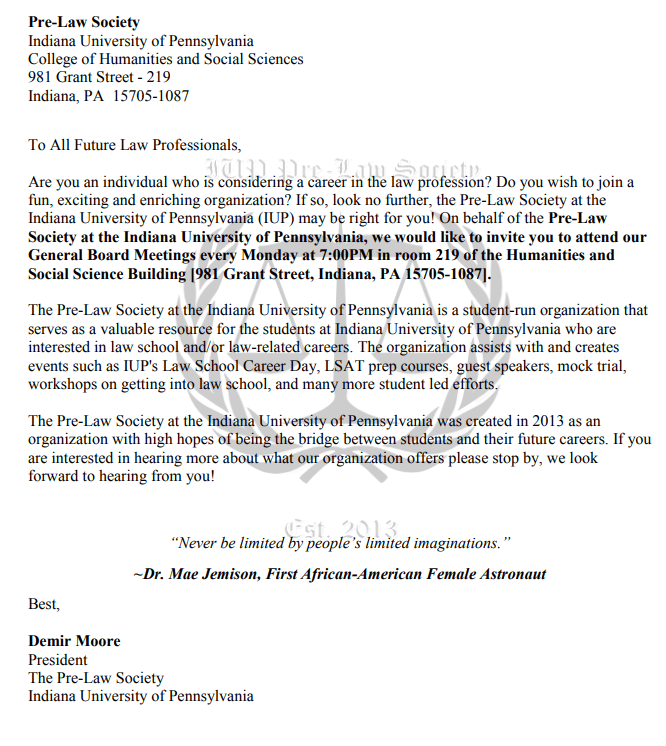 For more information about IUP’s Pre-Law Society, please see the attached information provided by the officers of the Pre-Law Society. 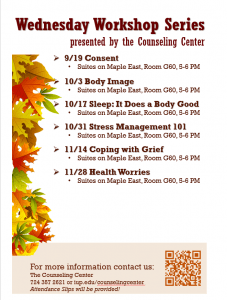 Each semester, the IUP Counseling Center presents workshops designed to help you take care of yourself. 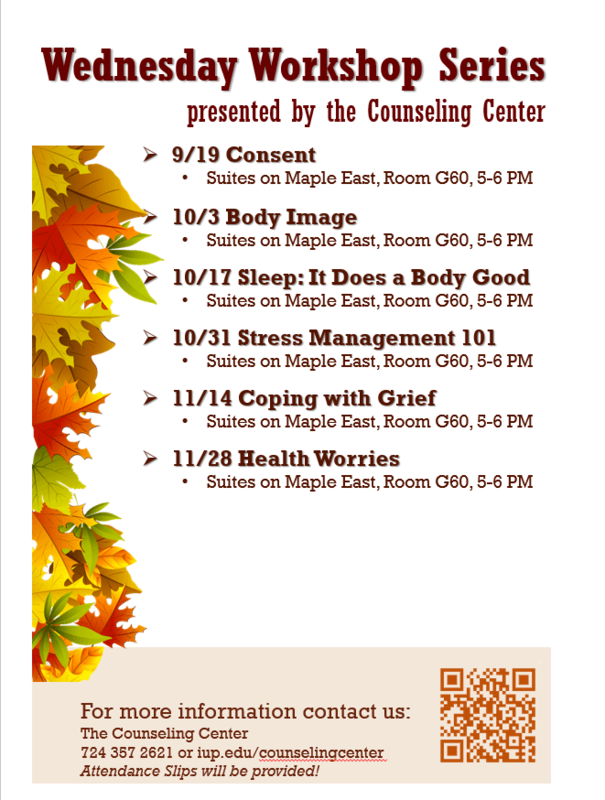 You can find their fall schedule attached. 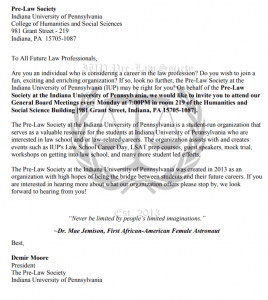 Please consider attending them.